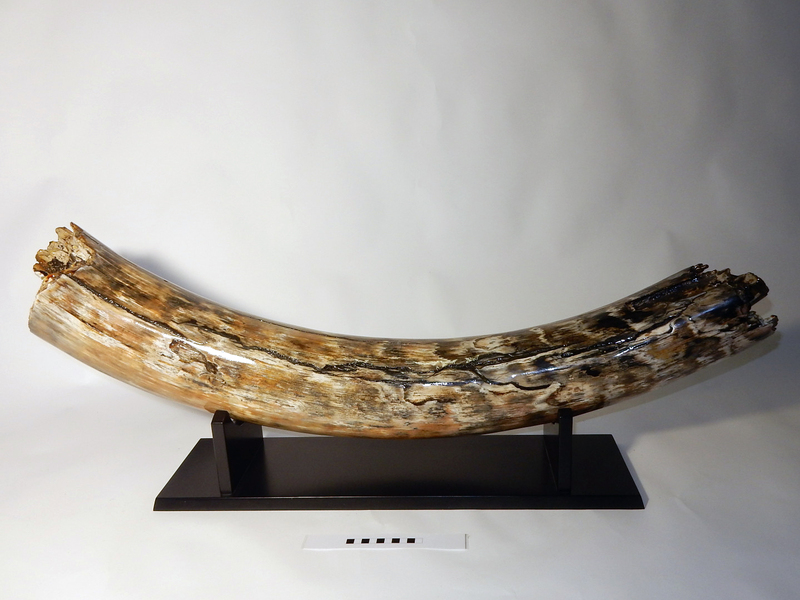 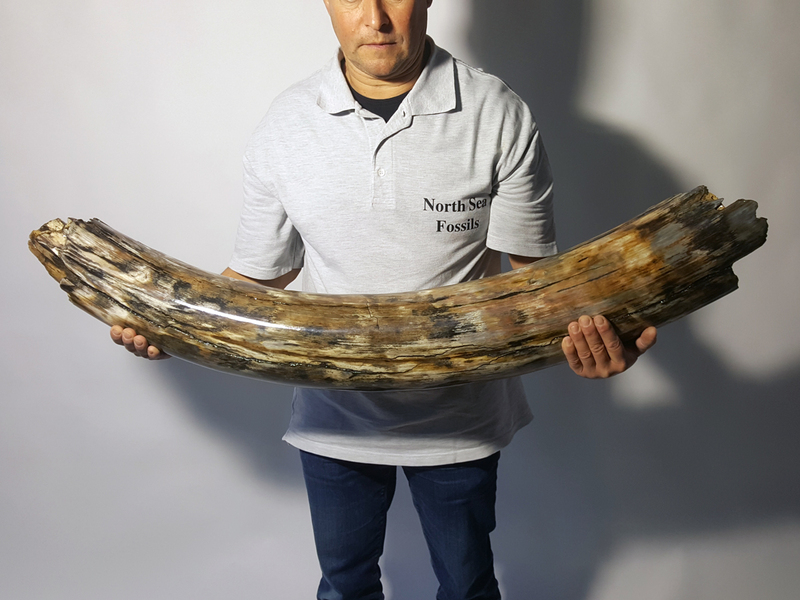 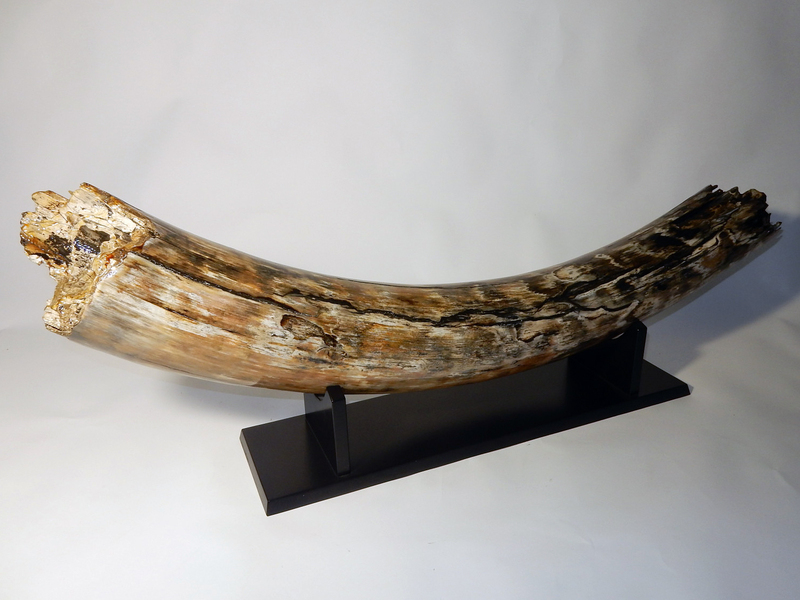 On offer is a superb and massive piece of tusk of an alpha male Woolly Mammoth, in excellent condition. 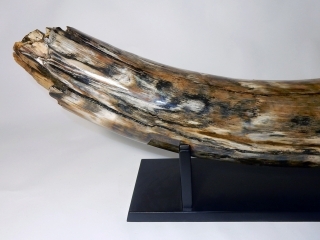 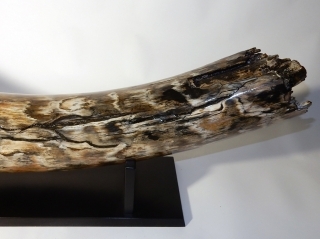 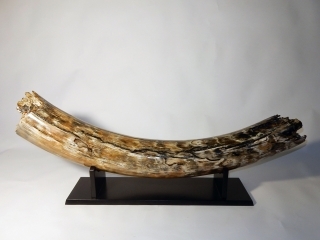 This tusk piece is of beautiful colouring of mainly black, grey, white, brown and gold ivory, with stunning patterning. 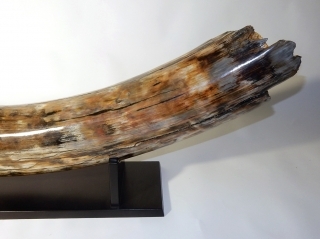 The piece has a particularly nice curve. Very highly recommended item, and very displayable. 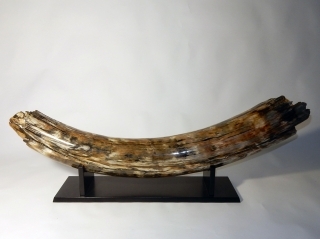 Great conversation piece. The custom-made wooden stand with black finish is included and makes this a truly beautiful and highly displayable item. 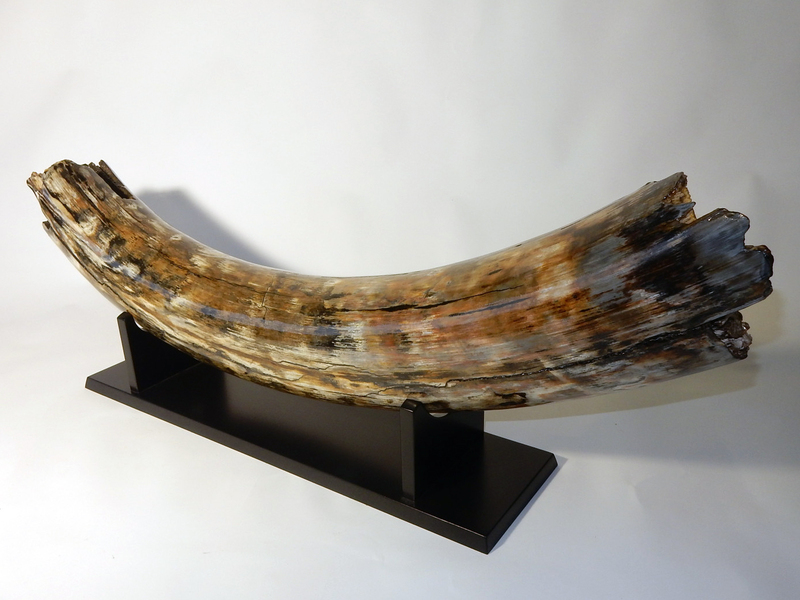 Not just an object of great age and rarity, this is also a work of art in itself and makes a great display piece. 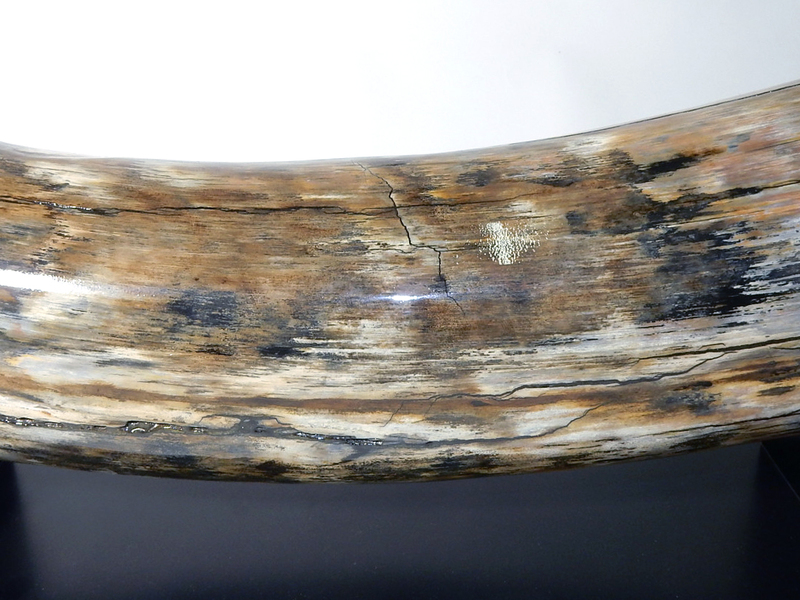 Much more beautiful in the flesh than the photos can convey, and highly recommended.